Sun Rivers Estates, Kamloops This south-facing property slopes down towards the eighth green of the Sun Rivers golf course. Views include the South Thompson river and the city of Kamloops. 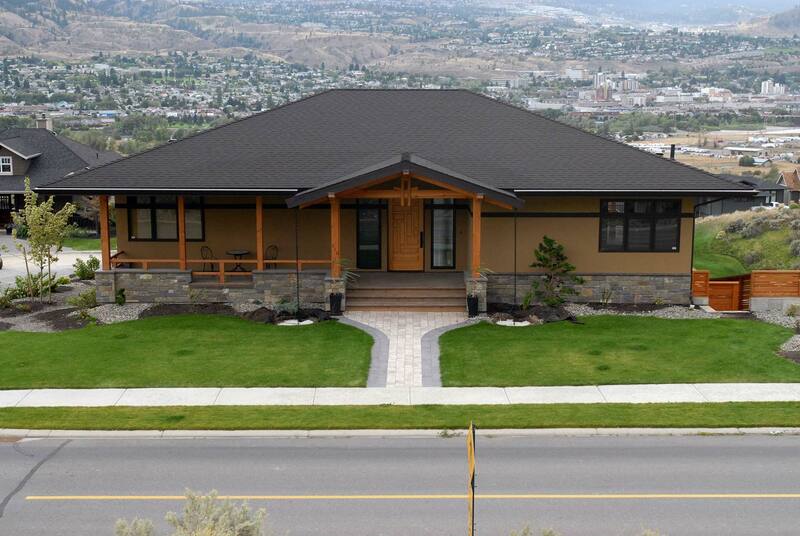 The contemporary craftsman style features timber frame porches and a gabled entrance roof. The low slope overhanging roof protects the house from the intense sun. The open living areas have radiant heat in polished concrete floors and floor- to-ceiling south windows expose the amazing vistas. Timber by Daizen Joinery on a Montana Rockworks stone base enhance the street elevation of this residence.